For Christmas I asked for Not Your Mother’s Make Ahead & Freeze Meals by Jessica Fisher. With a bit of extra time on my hands around the holidays I planned to spend an entire day in the kitchen and stuff the freezer. pizza sauce, vodka cream sauce, red sauce, etc. 1. Add the water and sugar to the bowl of your stand mixer. Sprinkle the yeast on top. Allow to proof for 5 minutes or until foamy. 2. Add the olive oil and salt, then add in the flour 1 cup at a time until a shaggy dough forms. Switch to the dough hook and continue adding in the remaining flour, Mix until the dough is tacky but not sticky, 3-4 minutes. 3. Transfer dough to a greased bowl, cover and allow to rise for 1 hour. 4. Use greased hands to divide the dough into 8 equal sized portions. Flatten into a 6-inch round. 5. Preheat the oven to 475. Grease 2 large baking sheets then sprinkle with cornmeal. 6. Sprinkle 1/2 cup mozzarella over each dough round, leaving a 1/2-inch border around the edge. Arrange 8 slices of pepperoni over the cheese. 7. Fold the dough in half and press to seal the edges. Use a fork to crimp the edges fully closed, then place on the prepared baking sheet. 8. Cut 2 to 3 slices in the top of the calzone in order for the steam to escape. 9. Repeat with remaining calzones. 10. 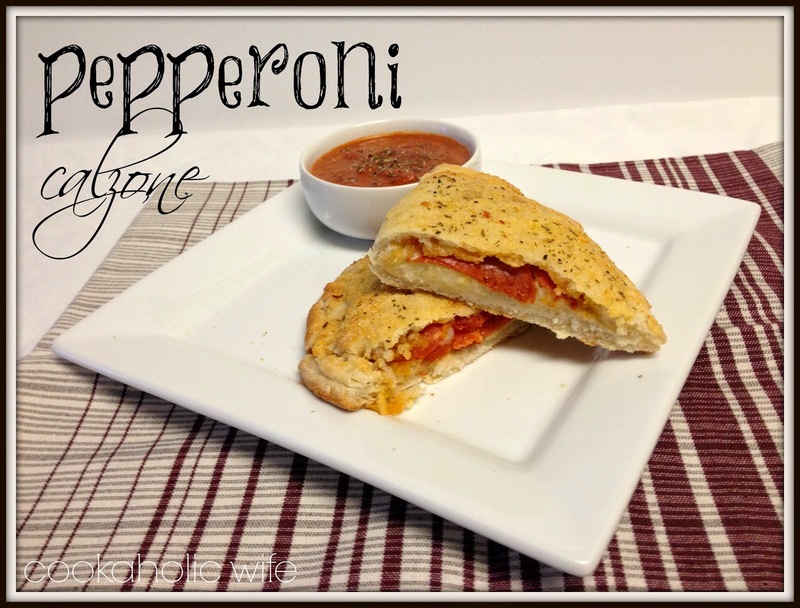 Brush each calzone with melted butter then sprinkle with Parmesan cheese and Italian seasoning. 11. Bake for 10-12 minutes or until crisp and golden. Allow to cool for 2 minutes before cutting. Serve with warmed dipping sauce. To Freeze: Allow calzones to cool completely before wrapping in plastic wrap and then placing in a ziptop bag. To Cook from Frozen: allow to thaw in the refrigerator overnight. Preheat the oven to 350. 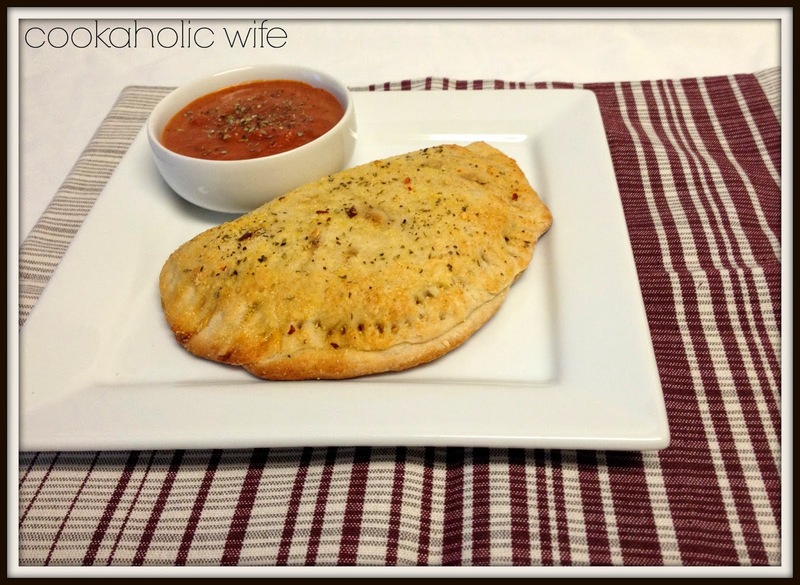 Place calzones on baking sheets and bake for 10-12 minutes before heated through. Serve with warmed dipping sauce. I love that you included freezer instructions, this looks great!